We are a couple with traditional values and views, but we also love new technology and finding innovative new ways to do classic old things like making furniture, textiles, objets-d’art, music, paintings, toys, games, gardening, and other pastimes and pleasures that make life fun and interesting. Won’t you join us as we explore the world around us, with an eye for making and making over things that look promising, that might fit into our lives here and now? thank you so much for dropping by my blog Fabricanter and letting me know you like my work. i look forward to seeing more from your travels thru our virtual and actual worlds! 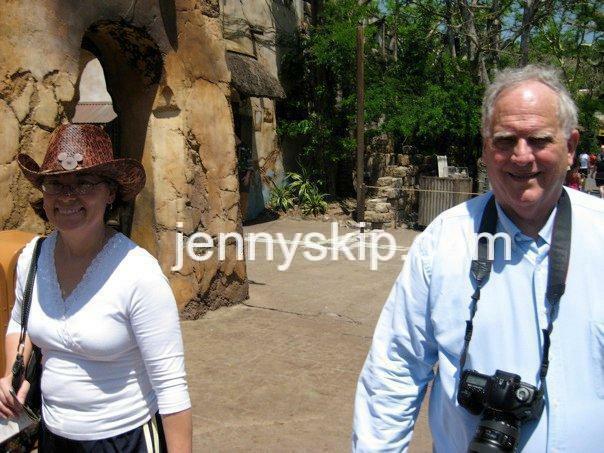 Hi Jenny; your blog looks great. Look forward to reading your posts; I have a great interest in recycling and upcycling. Thanks for stopping by mine. Thank you! I’m looking forward to reading your posts as well! What an interesting, informative blog, Jenny & Skip! Thank you for taking a look and leaving your kind comments! thanks Rupali, for your kind comments! Thanks for following, Great to follow you too! I just heard about your blog from Mary J. Puckett at Zippy Quilts. Couching is something I have been wanting to try, and you gave good information about this. I also like your “Want not, Waste not” approach. The red quilt was so worth up-cycling. It reminded me of a quilt my grandmother had. It was beautiful, but worn. Unfortunately, it was pitched when my parents moved to their second house. Thank you, Jacques, for following it ! we did expand on that blog post in this You-tube video: https://youtu.be/_OxFFOoY59o.